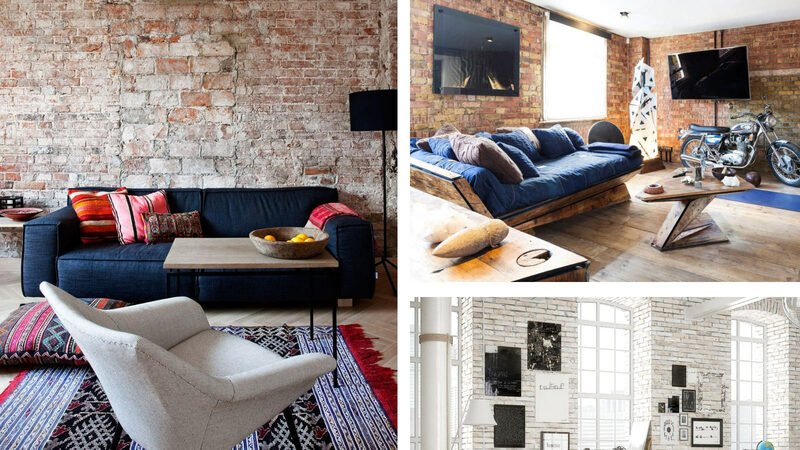 One very exciting living room design trend that’s making a comeback in recent years is: exposed brick walls. Grunge is in again, and it’s a look that will sure impress your guests. Nothing says ‘vintage’ better than leather (or faux leather) and wood. It may be classic, but it never gets old. Sure, you don’t really need a fireplace in the tropics but that doesn’t mean you can’t have one in your living room. Stack up some logs in the hearth and you’ll have the perfect conversation starter. 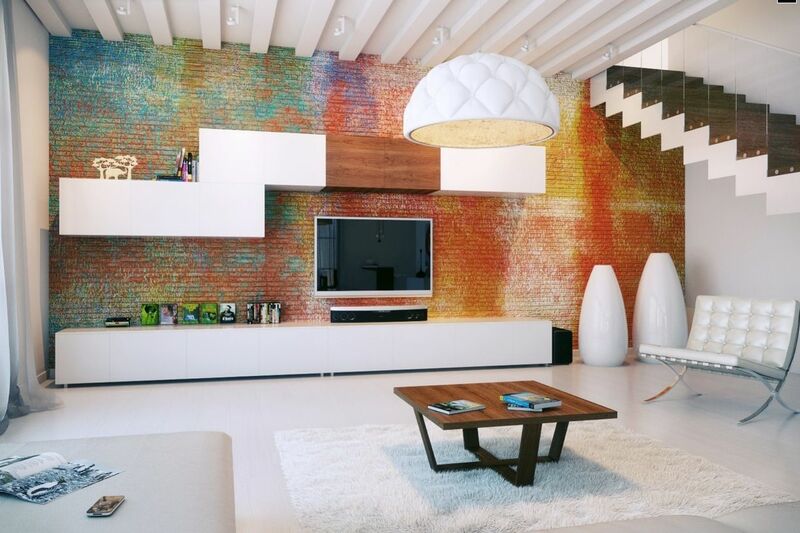 You’d be surprised how well an exposed brick wall could fit into a 70’s design aesthetic. Slip a throw rug under that funky furniture to complete the look. Use contrast to your advantage. Complement a clean and polished design with just a touch of exposed brick. Don’t overdo it though – balance is key. Do you even need paint? 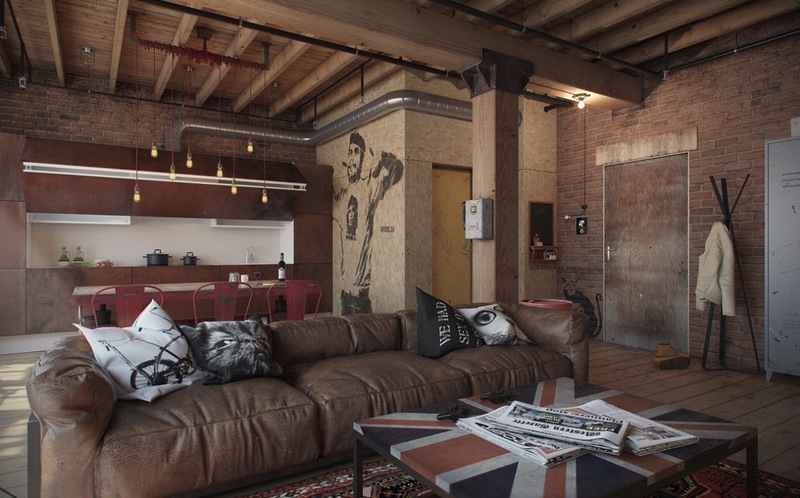 How about going all the way with fully exposed brick walls? Not a look everyone can pull off, but it’s worth it when you do. There’s something soothing about straight lines and grids. 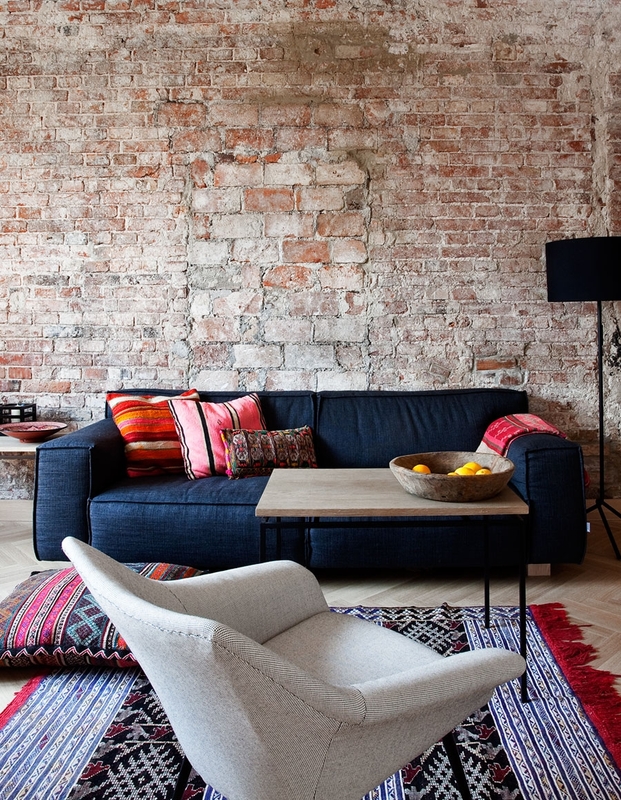 Pair some beautiful brickwork with a striped floor and it’s geometric heaven for your eyes. Multicoloured red bricks don’t always match the furniture. Whitewashing adds some uniformity while also retaining the character of the brick design. In the end, it’s your living room. So don’t be afraid to go crazy if you want to (or not).